Pardis Mahdavi is the author of Crossing the Gulf, a pathbreaking study of the lives of migrants in the cities of Dubai, Abu Dhabi, and Kuwait City. Through stories of the intimate lives of women and their families, she shows how laws and policies can lead migrants into illegality, statelessness, deportation, detention, and abuse. Pardis is currently Acting Dean of the Josef Korbel School of International Studies at the University of Denver. Before coming to Denver, she served as professor and chair of anthropology, dean of women, and director of the Pacific Basin Institute at Pomona College. She is a graduate of Occidental College, with a master’s in international affairs and PhD in sociomedical sciences and anthropology from Columbia. In addition to Crossing the Gulf, Pardis has authored three books and edited one more in addition to numerous journal and news articles and is completing a work of literary fiction based on fifteen years of ethnographic fieldwork. Her current work looks at the linkages between culture, diplomacy, and the ethics of engagement. 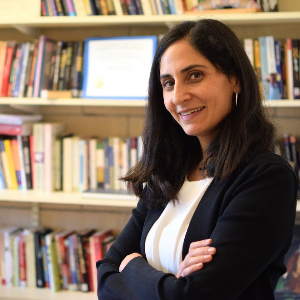 Pardis has been a fellow at the Social Sciences Research Council, the American Council on Learned Societies, Google Ideas, and the Woodrow Wilson International Center for Scholars.